I used to be a waiter at a fancy North Vancouver restaurant called the Black Sheep. It was located in an old church, although I don’t think that had anything to do with my future vocation. In those days, the late seventies, flaming coffee drinks were all the rage. 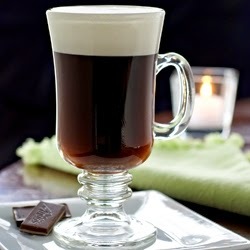 We put on a great show making Spanish and Irish coffees right at the table. One night an elderly lady asked me what I was making for the next table. He tells us straight up that to be in union with God we must acknowledge him as sovereign: as Lord of Lords and King of Kings, and more particularly as Lord of our lives and of every aspect of our world. All three of today’s readings help us to understand this. Jesus gives us three parables in the Gospel. All three proclaim that the Kingdom of God is growing despite every obstacle. Neither Satan nor human sinfulness can stop it. The great theologian Hans Urs von Balthasar speaks of “the paradox of the Kingdom growing in a world so unready for the divine.” Ready or not, the Kingdom of God grows like dough in a bowl. Our talented seminarian Larry offered to make pizza on the barbecue. He went off to the store to buy ingredients, and came back with two little packages of frozen pizza dough. But by the time the dough thawed, Larry didn’t know what to do with it all. As von Balthasar says, the Kingdom of God wins out. This truth has implications for the Church, for our understanding of human history, and for how we look at God. But this morning let’s focus on what it means for us in daily life. The second reading helps us apply the Gospel teaching to ourselves. How many times has it seemed like a waste of time to keep trying to live like a Christian in a world overgrown with weeds? How many times have we doubted our relationship with God when our hearts are so divided and impure? St. Paul says we must stop depending on ourselves; we must stop our panicked weeding and turn to the farmer with the problem. We’re mere farmhands, while God is the wise owner of the field who knows what needs to be done. In our case, what needs to be done is this: we must ask the Holy Spirit’s help. We must, as the first reading reminds us, turn directly to God “whose care is for all people,” who is “sovereign in strength” and who fills his children with hope. We have our own role to play and our own duties to fulfill, but over-dependence on ourselves blocks a right relationship with God, who the first reading says has power to act whenever he chooses. In St. Paul’s words, “The Spirit helps us in our weakness.” Most particularly, the Spirit helps us to pray. Every once in a while, the great Apostle sounds like a real tough guy, running races and all that. But today he tells us to let go in our prayer and let God take over. The same confidence that Jesus offers us in the Gospel today—confidence that God is in charge, despite everything—should fill our times of prayer, even when we are naturally anxious or upset. Sure, the Kingdom of God wins out in history; God has the last word on everything. But it also wins out in our individual lives, because (as St. Paul tells us elsewhere) “all things work together for good for those who love God” (Rm 8:28). Depending on God, and trusting in his plan for ultimate victory, also helps us be more patient with ourselves and with each other. It’s an antidote to a kind of perfectionism that can lead to self-hatred, judgment of others, and often frustration with the Church—in which we must tolerate many weeds among the wheat. Let’s allow the Holy Spirit to help us with our weakness. With repentance for our sins, especially those of pride and doubt, we can turn our cares and our whole lives over to God with complete confidence. That's the message of today's readings, straight and undiluted. And the whipped cream on top is peace, the gift Jesus promised the Apostles when he told them about the Holy Spirit. And that is what he promises all of us when we allow the Spirit to intercede for us according to the will of God. * The application comes from James F. Colaianni, ed., Sunday Sermons Treasury of Illustrations.